Magic, somebody used to say, is a sword without a hilt: there’s simply no safe way to use it. In the world of Divinity, Sourcerers, powerful individuals who can wield the Source to perform otherworldy feats, have been revered once, but following the death of the Divine Lucian, they are being hunted, as using the Source attracts the Voidwoken, hellish creatures that can bring about the end of the world. 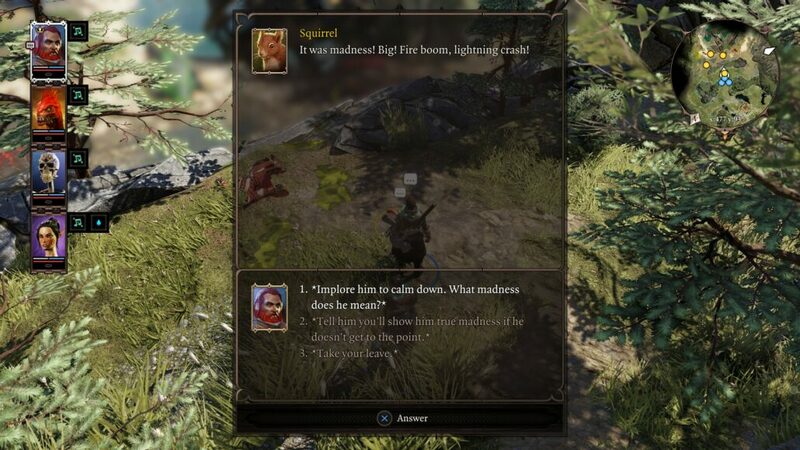 To prevent this from happening, Sourcerers are being tamed, stripped of their powers: one of these Sourcerers is the main character of Divinity: Original Sin 2. One of these Sourcerers is you. Divinity: Original Sin 2 is the sequel of the first Divinity: Original Sin, both part of the Divinity series created by Larian Studios. For their new game, the team has taken everything that made Original Sin such a good RPG and brought it to the next level, creating an almost flawless cRPG that can be considered as one of the best ever released. As mentioned above, one of the Sourcerers getting captured by the Divine Order led by Lucian’s son, Alexandar, can be created by the player. The character creation system is incredibly interesting, sporting some rather unique features that do impact the whole playthrough. At the start of the game, players can choose to either create their own character by selecting between several different races, including the hilarious undead variants of each race, and a few preset classes, or to pick an Origin character. These are special characters with their own backstory and ties to many of the game’s main characters. While Origin characters have set personalities, custom characters can be further customized with the Tag system, which allows players to tweak them with tags like Outlaw, Scholar, Soldier and so on. Depending on the tag, special answers during conversations become available. 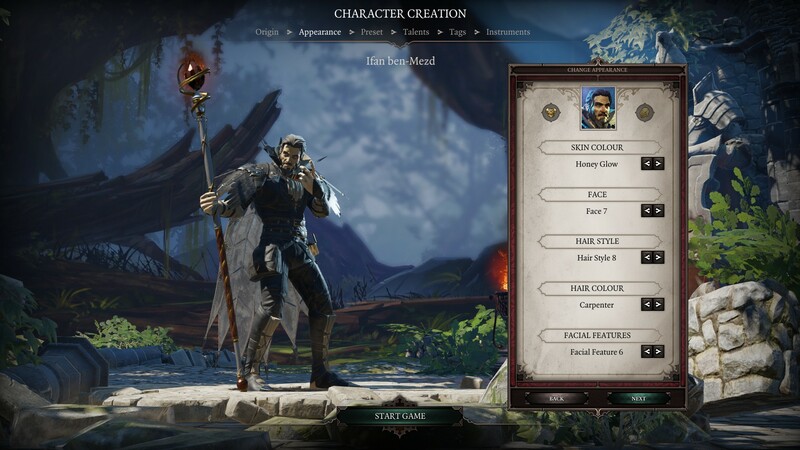 During the creation process, players can also choose which Talents they want to give to a character, further expanding customization possibilities. As NPCs react to both Tags and race, and everyone in Rivellon seems to hold it against another race for one reason or another, no interaction will be the same between playthroughs. By playing in certain ways, it’s also possible to acquire additional Tags, like the Villain tag, which opens up even more interesting interactions. The power of the Tag and Origin systems is on full display during the entirety of the game. Even if players decide to go with a custom character, they can still recruit Origin characters right from the beginning, so their stories and personal quests can still be experienced. What makes things quite interesting is how the Origin characters interact with one another, as they may have conflicting objectives. To make an early game example, recruiting the Red Prince, a Lizard who has lost his Empire, and Sebille, an Elf out for vengeance against those who have wronged her, will lead to conflict, as they are both seeking somebody but for completely different reasons. If conflict reaches a certain height, they will leave the party, forcing players to adapt to the situation. These types of interactions make the whole world feel incredibly alive. 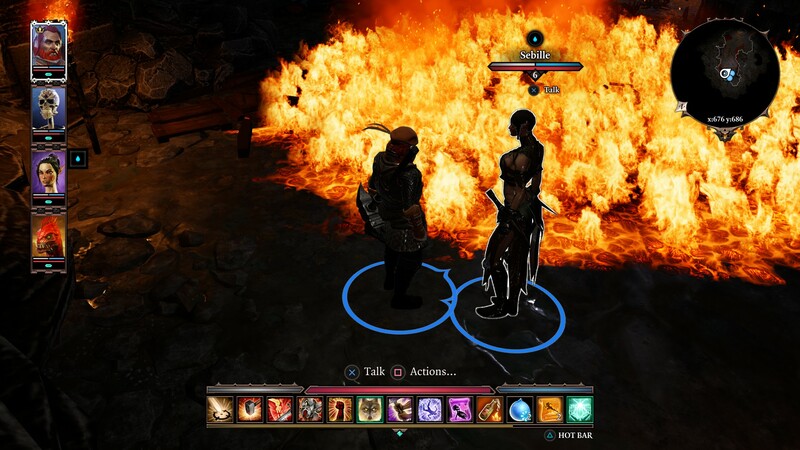 Interacting with NPCs is just a small part of what makes the whole Divinity: Original Sin 2 world and story so compelling, as the whole plot is quite gripping, especially for fantasy fans. As mentioned above, the main character, custom or Origin, is being sent to Fort Joy, an open-air internment camp for wielders of the Source where they are “cured” of their affliction, first with a Source-muting collar, then for good. As soon as Fort Joy is reached, following a way too close encounter with the Voidwoken, it’s clear that Fort Joy isn’t true to its name at all, as the Divine Order and Bishop Alexandar have clearly other motives to go after Sourcerers. By exploring the fort, it also becomes clear that the members of the party aren’t regular Sourcerers, but some very special individuals that could take away what Alexandar craves so madly: become the new Divine. From here on, it’s up to the players to decide who they really want to be and how they want to shape the world of Rivellon. Divinity: Original Sin 2 plot wouldn’t be so gripping without its characters, who are all extremely well written. The villains are mostly written as gray characters, despicable without being mustache-twirling monodimensional ones, and supporting characters all have their believable motivations to do what they do. Adding more to the whole experience is the excellent voice acting for all characters as well as narration. Special mention is deserved for the animals, which can be talked to with the Pet Pal talent: seeing them interact with humans is truly hilarious and they can provide some rather useful information hidden between the funny dialogue. Writing, in general, is actually more balanced than in the previous game, as it’s more on the serious side, without completely sidelining some of the humor found in the first Original Sin. Divinity: Original Sin 2 is a cRPG at heart, but every gameplay feature of the genre has been taken to new heights and not only in character creation and interaction with NPCs and between party members. One thing that becomes very clear after reaching Fort Joy is that players have total freedom in how to reach their main objectives. Just to make an example, there are several ways to escape Fort Joy and remove the Source-muting collars: players can either interact with the right character, complete the right quest, use the Teleport skill to get past Magisters or even just blindly wander into the exit by exploring the fort and its surroundings. The same goes for the rest of the first Act, as players have several different ways to deal with the Divine Order’s special weapons, and each one is as valid as another. With so much freedom, some may think that it’s easy to feel lost, but thankfully that’s not the case, as everything important is tracked in the Journal. Freedom of choice is also prevalent in battles. Divinity: Original Sin 2 employs a turn-based tactical battle system based on its predecessor’s, where players and enemies take turns in moving and unleashing Skills while consuming Action Points. What makes the new game’s battle system so engaging is how the environment is highly interactive. There’s a weird looking puddle on the ground? Move enemies over there to get them poisoned. There’s a water source nearby? Use electricity skills for maximum value. There are oil barrels in the vicinity? Set them on fire and watch enemies explode. There may be times when the battle location doesn’t offer anything that can be exploited, but this is where skill combos come in. A character knowing Aerotheurge and Hydrosophist skills, for example, can create the right environment to unleash the full power of his or her skills, while a Huntsman possessing high-mobility skills can reach the high ground easily to deal additional damage. The game is full of these combos, making it a joy to discover any particularly strong one. Other RPGs staples are also present in full force in Divinity: Original Sin 2, with a couple interesting twists. There are a lot of weapons and armor pieces scattered around Rivellon, with many of them coming with Skills that can only be used as long as the item is equipped. Armor pieces also grant different values of the already mentioned Physical and Magical Armor, which is extremely important to survive battles. If money is a problem to purchase better equipment, players can also craft them with the right materials and recipes. An interesting twist on the crafting system is the ability to craft new Skill Books, allowing players to create some rather unique skills. One staple that is not in is the class system, as players have the ability to improve their characters upon level up without any sort of restriction. If any current build is not what the player wanted, it’s possible to fully respec without any penalty from Act 2. The main Divinity: Original Sin 2 campaign is augmented by the ability to play it with other players. The game features a split-screen co-op mode for local multiplayer as well as an online multiplayer mode which allows 4 players to team up and enjoy the game together, though there are also competitive quests so you’re not necessarily bound to being friendly all the time. An Arena mode also allows players to test their tactical skills against other players. 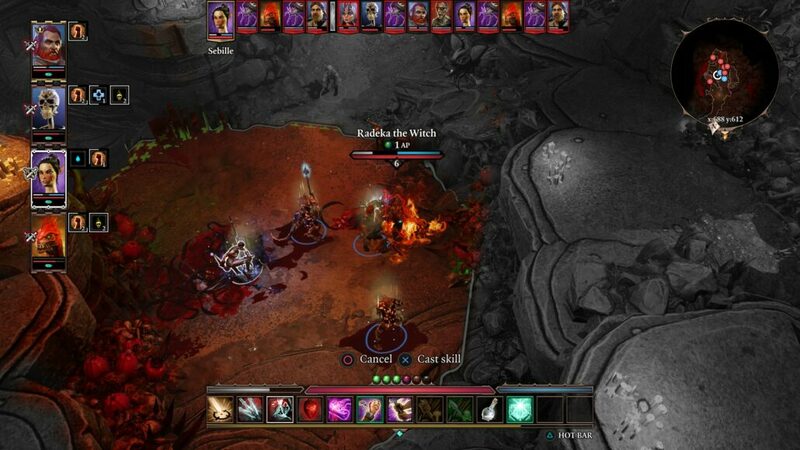 An even more interesting multiplayer mode is Game Master mode, where enterprising users are able to create their own campaigns and act as a Dungeon Master in a virtual table-top RPG. 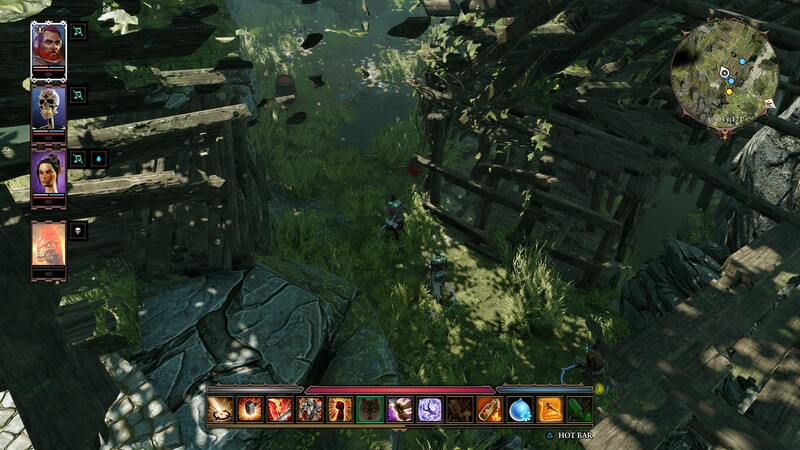 Being a cRPG, Divinity: Original Sin 2 is best played with mouse and keyboard, but controller support definitely deserves a special mention, as it’s been masterfully implemented. The game supports both Xbox controllers and the Dual Shock 4; both allow gamers to have an enjoyable and smooth experience. Divinity: Original Sin 2 also stands out also for its presentation, which has been polished further since its Early Access release, with an improved and much cleaner UI. All character models look great up close, with a lot of detail, and so do the environment, which can be as colorful or grim as required. Those with not so powerful machines shouldn’t be too worried, as the game isn’t particularly demanding. There may be some slowdowns during battles, but it’s nothing that gets in the way of enjoyment, considering there’s no real time action involved. The voice acting (revealed just ahead of release as a surprise) is very well done, and so is the soundtrack, which can also be slightly customized during character creation by choosing the main instrument. It may be something very small, but it’s proof of the attention to detail that Larian put in the game. It's hard to find a game with little to no flaws, but Larian Studios proved that, sometimes, it happens. With excellent story and characters, smart writing and masterfully crafted gameplay enhanced by the multiplayer modes, Divinity: Original Sin 2 truly deserves a place among the best cRPGs ever released.